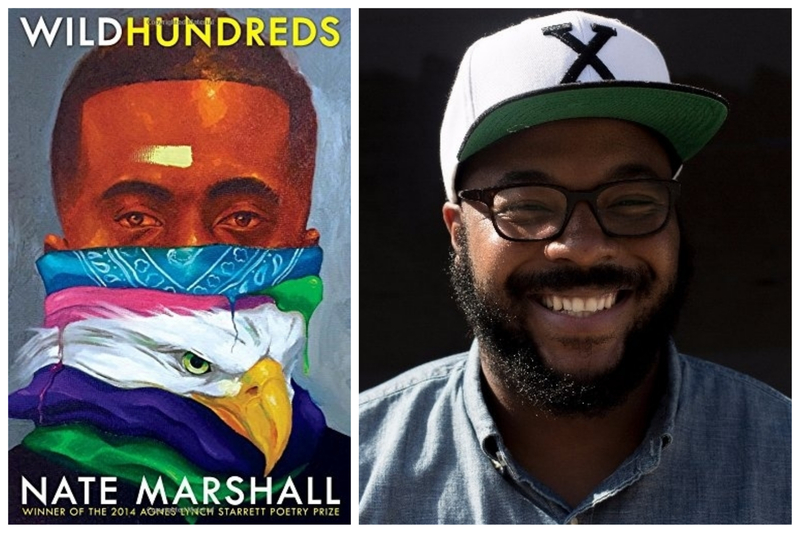 A Room of One's Own is thrilled to welcome Nate Marshall, author of Wild Hundreds and an editor of The BreakBeat Poets: New American Poetry in the Age of Hip-Hop! Nate Marshall is a poet, teaching artist, and professor from the South Side of Chicago. He completed his B.A. at Vanderbilt University and an M.F.A. at The University of Michigan’s Helen Zell Writers’ Program. He has received fellowships from Cave Canem, The Poetry Foundation, and The University of Michigan, and is a member of The Dark Noise Poetry Collective. He is the Director of National Programs for Louder Than A Bomb Youth Poetry Festival and has taught at The University of Michigan, Wabash College, and Northwestern University. He co-wrote Chicago Public School's first literary arts curriculum and has developed a number of lesson plans using creative writing to help participants discuss social justice, mental health, and community development. Wild Hundreds is a long love song to Chicago. The book celebrates the people, culture, and places often left out of the civic discourse and the travel guides. Wild Hundreds is a book that displays the beauty of black survival and mourns the tragedy of black death. It has been honored with the Black Caucus of the American Library Association’s award for Poetry Book of the Year and The Great Lakes College Association’s New Writer Award. The Breakbeat Poets is the first poetry anthology by and for the Hip-Hop generation. It features 78 poets, born somewhere between 1961-1999, All-City and Coast-to-Coast, who are creating the next and now movement(s) in American letters.